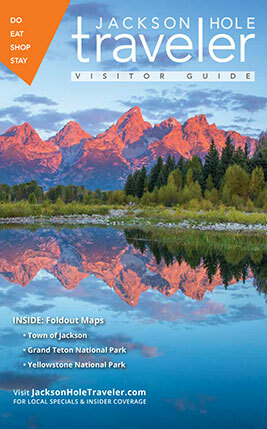 Get a free visitor guide to Jackson Hole, Wyoming for things to do, restaurants, and lodging in Jackson Hole & Grand Teton National Park. View it now online as you wait the hard copy in the mail. What Summer Activities Interest You? What Fall Activities Interest You? What Winter Activities Interest You? What Spring Activities Interest You? What All Season Activities Interest You? Would you like Lodging Information? Would you like Restaurant Information? Would you like Real Estate Information? Would you like to receive on-going travel emails? Please add me to your email list to receive on-going travel news, events and updates from Jackson Hole & Grand Teton National Park. Leave us your email if you'd like for these activity and lodging companies listed above to send additional information. Please leave a number for our partners to personally respond to your request. * Email Address if you need a response to your comments or questions.